January 4 marks a sad day for the listeners of radio commentator Vicente A. Kintanar, Jr., more popularly known as June Kintanar. He was a popular Cebuano broadcast journalist and former Cebu City politician whose various block programs in local radio stations like DYLA, DYRF, DYAR, and DYDD were popular with many Cebuanos. In 2008 during the 400th founding anniversary of the town June Kintanar was awarded as one of the Most Outstanding Argawanon Achievers. If there is one word to describe his early life it would be "achiever". Coming from a long line of achievers from both sides of his family meant that June was also destined to achieve great and amazing things in life. 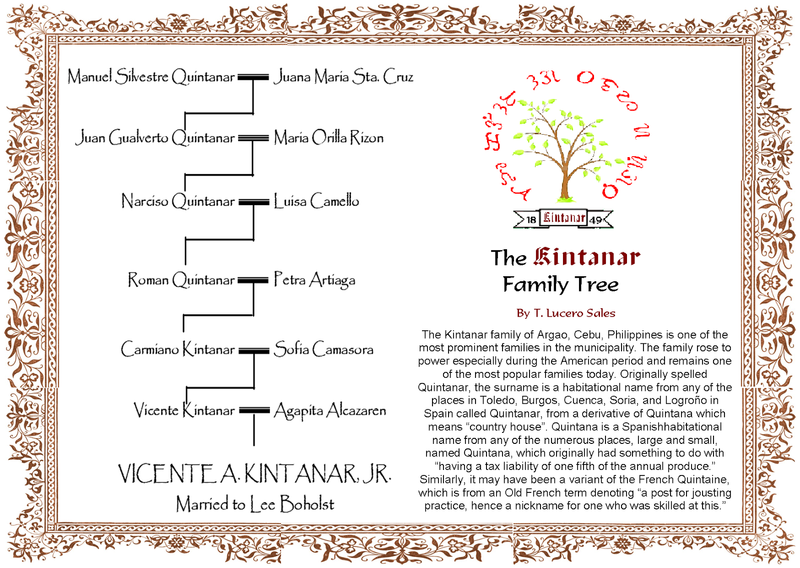 June Kintanar was born in Argao, Cebu, on June 11, 1939 to Vicente Camasura Kintanar and Agapita Fuentes Alcazaren. Vicente Sr. later became Argao's first post-World War II mayor while Agapita's brother, Juan Alcazaren, was a former member of the Philippine congress. His father's and uncle's place in Argawanon and Philippine history alone already made a huge impact to June's upbringing. 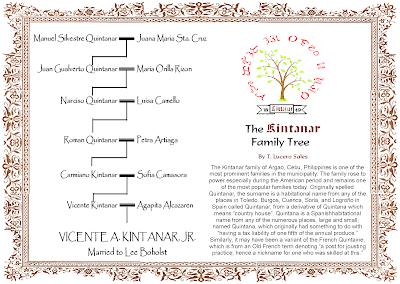 June Kintanar's great-grandfather, Don Roman Quintanar, was probably one of the earliest leaders in Argao who tried to fight the Spaniards in his own way. In the 1890 election for the gobernadorcillo of the town, even the town Principalia showed some thinly-veiled anti-Spanish sentiments. The winner of the election, Don Roman Quintanar, who already held the position from 1882 to 1884, was derisively described by the parish priest and the provincial governor as someone unfit to become Argao’s gobernadorcillo. There could have been several reasons why the parish priest was against the election of Don Roman Quintanar. During his first term as gobernadorcillo, Don Roman might have purposely excused many people in Argao from rendering the polo y service, which might have earned the ire of the Spanish authorities. It was obvious that Don Roman was pro-Filipino, which was further enhanced by his inability to read, write, or understand Spanish. It was no wonder then that the Spanish authorities were bent on recommending the reelection of the incumbent chief executive, Don Jose Saniel, whose family was extremely pro-Spanish. However, despite the statements of both the provincial governor and the parish priest, Manila decided to honor the decision of Argao’s principalia and confirmed Quintanar’s victory, although it initially heeded the recommendations on Don Jose Saniel’s behalf. Roman Quintanar's example of leadership later became a model for succeeding generation of Kintanar public servants. This was certainly the guiding principle of one of the sons of Don Roman, Felipe Kintanar, who was a Vice-President (Vice-Mayor) of Argao in the 1920s. Because he and the rest of municipal council had switched parties from the Nacionalistas to Demokratas, the Municipal President of the town, Carlos Montenegro, with the support of the provincial governor at that time, suspended Kintanar several times for no obvious reasons. Despite these, Kintanar led the fight against the abuse of power of Montenegro. June Kintanar's father, Vicente Kintanar, who became the first mayor of Argao after the Second World War, was also an astute and honest politician. Running a war-torn town after World War II was not easy, but Vicente Kintanar was able to rebuild the town in just the few years he stayed as municipal mayor. June studied at the Argao Central Elementary School then studied at the Seminario Menor de San Carlos in Cebu City. He finished a degree in Foreign Service at the Lyceum of the Philippines in Manila. He later finished a second degree (Bachelor of Arts) at the Colegio de San Jose Recoletos in Cebu City. He also took up law at the Southwestern University for three years. He started out as an English/ Cebuano announcer/ newscaster for DYVM from 1960 to 1964. From 1964 to 1968 he was an announcer / newscaster for the Cebu Broadcasting Company (DYRC). He rose to News Director/Commentator from 1968 to 1974 then was station manager from 1974 to 1978. In 1975 he was elected the chairman of the Kilusan ng mga Brodkaster ng Pilipinas (KBP) - Cebu chapter and remained in this position until 1980. In 1980 he ran for councilor in Cebu City and garnered the most number of votes. After his term as councilor ended in 1983 he became Cebu City's Vice-Mayor in 1983 and stayed in this position until 1986. After the end of martial law he was once again first councilor of Cebu City from 1988 until 1992. He also served as a consultant on legislative affairs for the mayor's office while serving councilor. 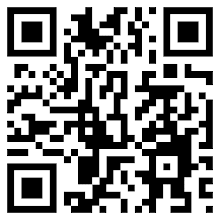 He served as the general manager for the Integrated Media Services from 2000 until the 2013. From 2008 until 2010 he was the general manager of Six Eleven Marketing and served as the Chairman for Six Eleven Marketing and Development Corporation until his denmise. June Kintanar married a fellow radio commentator, Paula "Lee" Boholst and had four children: Sheldon, Han Christopher, Neil Richard, and Carla Agapita Kintanar. Although a busy man, June Kintanar always had time to spend with his family. I had the honor and privilege of spending a few holidays and Saturday and Sundays with Tito June and his family when they were in Argao and I always saw not just an outpouring of intellectual discussions during meal and coffee times but also love and warmth among the family members. He was a good and decent man and those who had the privilege of meeting him will always remember him. Vaya con Dios, Tito June.